Over the past few months I have written several blogs discussing the Enrica Lexie controversy between India and Italy relating to the shooting of two Indian fishermen by two Italian military guards. The first post discussed the principles of jurisdiction and whether or not it would be proper for India to prosecute the Italian marines for murder. The second post discussed the possible international fora where the dispute between India and Italy could be decided. The third post raised the issue of possible functional immunity for the Italian marines from Indian jurisdiction. This post will further discuss the notion of functional immunity in the absence of a Status of Forces of similar agreement. [t]hat an individual, forming part of a public force, and acting under the authority of his government, is not to be held answerable as a private trespasser or malefactor, is a principle of public law sanctioned by the usages of all civilized nations, and which the Government of the United States has no inclination to dispute. [n]ow, there can be no doubt that the analogous rule, when applied to individuals, is, (that both principal and agents, or, if you will, instruments, are responsible in criminal cases; directly the reverse of the rule on which the demand for the release of McLeod is made. […] Suppose, then, that the British, or any other government, in contemplation of war, should send out emissaries to blow up the fortifications erected, at such vast expense, for the defense of our great commercial marts, […] would the production of the most authentic papers, signed by all the authorities of the British Government, make it a public transaction, and exempt the villains from all responsibility to our laws and tribunals? Or would that Government dare make a demand for their immediate release? Or, if made, would ours dare yield to it, and release them? This statement by Senator Calhoun should make it clear that, in conjunction with the actual trial of Mr. MacLeod, the principle of functional immunity for military orders was not so firmly established in 1841. However, it is true that statements of the federal executive, as responsible for foreign relations, bear more weight on the issue than those of one senator and the authorities of New York State. Even if this case were not somewhat equivocal about functional immunity for official acts by members of the military, subsequent practice seems to indicate such immunity no longer exists. military personnel acting under official orders are [not] exempt from personal responsibility for criminal acts. “Superior orders” is not a defence (sic) in New Zealand law, nor is it a defence (sic) in the legal systems of most countries. It is certainly not a defence (sic) in international law, as was clearly established in the judgements (sic) of the Nuremberg Tribunal and the post-Nuremberg war crimes trials. Unfortunately, the issue of functional immunity was not settled or directly addressed by the arbitration decision. The important point here is that the existence of the immunity, theoretically recognized (if not ignored) in MacLeod, was denied by one of the parties to the dispute in categorical terms. The past “usages of all civilized nations” to afford immunity to official acts of this type appears to have eroded in the intervening 140 years. Not the least of all due to developments after World War II. There is at least one important distinction between the MacLeod case and the Rainbow Warrior Affair: the accused in MacLeod was a uniformed military officer at the time his alleged crime was committed while the French agents were covert operatives. One could argue that openly carrying out military orders is different in type than covert action. While this is an interesting point, modern practice does not seem to support such a distinction. One current example is the up coming criminal case against Israeli military officers in Turkey. The case relates to the Mavi Marmara Incident which occurred in 2010 when a flotilla of ships departed from Turkey en route to the Gaza Strip in an attempt to break the ongoing Israeli blockade. The flotilla was intercepted by Israeli military forces. 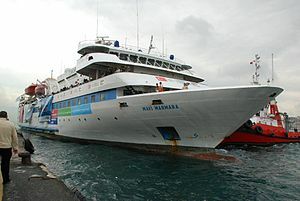 When the flotilla refused to turn around, Israeli forces boarded some of the ships, in particular the Mavi Marmara, leading to the deaths of nine activists. The use of force during that interception was later found to be “excessive and unreasonable” by a UN panel of experts. Turkey recently brought charges against four senior Israeli military commanders for their parts in the killing of the activists. These commanders were implementing official military orders in carrying out the raid on the Gaza bound flotilla. Turkey obviously does not feel that these commanders are entitled to MacLeod style functional immunity for their alleged crimes. This case is just beginning and to my knowledge no judicial decisions have yet been issued. The very fact that Turkey is willing to bring the charges is indicative of the status of functional immunity for uniformed military personnel who commit crimes in the course of carrying out their duties. These cases from the last 180 years demonstrate that the basis for asserting a general rule of international law establishing functional immunity for uniformed military personnel is shaky at best. One of the earliest cases, while asserting the rule, did not provide an example of its implementation. By the 1980’s, and after the developments of the Second World War, it could be openly asserted that functional immunity for official acts that amount to crimes did not exist. Current practice, right up to last month, appears to be following the course laid out by modern practice and not the anachronistic rule agreed to by the British and American governments in the 1840’s. Modern rejection of a general norm providing functional immunity for military personnel carrying out their official duties will have serious consequences in the dispute between India and Italy. It essentially means that Italy’s claim to exclusive jurisdiction over the marine guards is incorrect. India has jurisdiction to try the guards because the committed crimes within India’s jurisdiction as understood by international law.This is a desirable rule. As noted long ago by Senator Calhoun, to do otherwise would produce absurd results. Status of forces agreements or SOFA’s generally provide that the armed forces of one country, while finding themselves within the jurisdiction of another, will only be subject to the jurisdiction of their home State. There is of course no requirement that SOFA’s provide for exclusive jurisdiction. Malcolm N. Shaw, International Law (6th ed) p. 738 (2008). Moore, A digest of international law as embodied in diplomatic discussions, treaties and other international agreements, vol. 2, at § 217 (1906). Ibid. Statement of US Secretary of State Webster. He was acquitted for want of evidence. 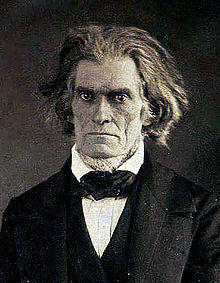 Sen. Calhoun in response to the MacLeod case, US Senate 1841 documented in Moore. Memorandum of the Government of the French Republic to the Secretary-General of the United Nations regarding the Rainbow Warrior Affair (1986). Memorandum of the Government of New Zealand to the Secretary-General of the United Nations regarding the Rainbow Warrior Affair (1986). It is worth noting that there may be other arguments to void Turkish jurisdiction in this case such as the location of the raid. This is something that might be worth exploring at a later date. This was the subject of my first post on the Enrica Lexie incident. Hi. I am Italian and was surprised in realizing how Italian media and blogs deal with this controversy in a quite non-neutral way, especially omitting relevant facts and laws. So thank you for your deep posts. I did not found in your blog an answer to a question that I find crucial: have the maros to be considered as private citizens, because they as armed guards were privately contracted by a company? Thank you Stefano for the comment. I am not aware of how the Marò have been characterized before the Indian courts. However, I think the question actually misses the issue. Under the Indian interpretation of the law, it would not matter one way or the other if they were on “official” duty or not. The only issue for them is whether a crime was committed or not. Official duty of military personnel, following their understanding of the law, does not afford immunity from foreign court jurisdiction for crimes otherwise falling under their prosecutorial authority.